Should you own stocks, mutual funds, or stick with baseball cards? There are some who would make the case that a portfolio of carefully selected baseball cards held for the long term has proven a better investment than either stocks or mutual funds. For many investors, it is not a question of either individual stocks or mutual funds. They use both to meet different financial goals. You’ll need to find your comfort zone and make your own decisions. Here are some properties of both mutual funds and individual stocks to help you decide. Many mutual funds are highly diversified in their investments, meaning they own a number of stocks so that if one or a few turn out to be bad decisions, they won’t dramatically affect the whole fund. They may also invest in a number of different industries and different sized companies, depending on the fund. It is difficult for individual investors to diversify to this extent. 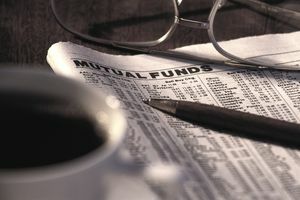 There are thousands of mutual funds to choose from on the market. You can find funds that cover the whole market or funds that are very narrow in their focus and everything in between. Some funds focus on particular industries, while others may look at foreign markets. Mutual funds are very convenient. They do most of the record keeping for you and provide you with the forms needed to file your taxes. Also, many offer services such as check writing against a money market fund and other bells and whistles. Mutual funds are great vehicles for funding retirement plans, and you’ll find them in your 401(k) or other retirement plans at work. They also work for the investor that simply doesn’t have the time or energy to consider individual stocks.